This revolutionary visualization takes you into a conscious dream-like state where you actually step into the most powerful place in the Universe…The Blue Room! The power you’ll receive from this manifested vortex is unbelievable. You will create real life agreements that manifest themselves back on Earth! Perhaps you would like to physically meet your life partner, create a new financial contract or deal, or improve your business or personal relationships. By meeting them in the Blue Room you’ll soon see how the manifested magic effortlessly starts unfolding in your life! Would like the key to physically manifesting unstoppable success in your relationships, finances, and career? The Blue Room Manifesting Meditation is by far the most powerful manifesting technique we know for creating a specific and perhaps outrageous outcome in your life. This revolutionary visualization takes you into a conscious dream-like state where you actually step into a place of soul-like power where you can create real life agreements that manifest themselves back on Earth. Perhaps you’d like to physically meet your life partner, connect with a powerful person that could help you, create a new financial contract or deal, or improve the relationships you have with people in your field of business. By meeting with them in the Blue Room you’ll soon see how the magic effortlessly starts unfolding in your life! 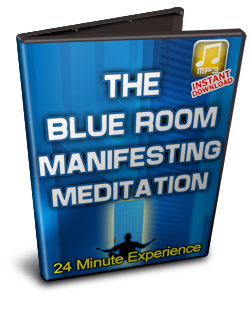 With this Blue Room Manifesting Meditation, you will experience…. A proven technique for manifesting the financial abundance, relationships, or situations you want in life “out of the blue”. An inner journey to a powerful energetic place where you will create a new positive agreement that impacts your physical reality. A feeling of confidence and joy that this new contract/agreement is in the process of manifesting into your life so that you can let go and allow the Universe to support you in making it a reality. 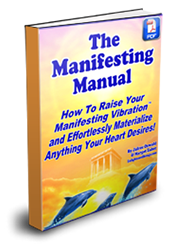 The creation of an energetic blueprint that effortlessly and naturally magnetizes new relationships and agreements you want to have into your life. Would you like to be able to manifest a new business agreement, contract, sale, or meet the love of your life? Inside the magical Blue Room, you’ll be able to create ANYTHING you can imagine on Earth. You can quickly and effortlessly manifest new contracts, get a promotion at work, obtain new clients, make a BIG sale, or sell a home! People have built their entire company based on the effectiveness of this meditation. They would meet a potential “imaginary” client in the blue room, and within a short time a new client would show up in real life. It’s great for making challenging business deals and resolving financial and emotional discrepancies. People have also created a new relationship in the blue room! You can organize events or plan out projected expansions with an emerging corporate company. Any business deal you want to manifest can be easily attained by first visiting the Blue Room. How does it work? When we create an emotional agreement in our inner world coming from a confident empowered state, we are sending out a powerful energetic agreement with the Universe that informs the world what to manifest. The more clear and empowered we feel about this agreement, the faster and easier the manifestation occurs. The amazing energy that is generated from spending even a few minutes inside the Blue Room will dramatically speed up the manifestation process. Whatever you desire to see in your physical reality will begin coming your way. This manifesting meditation creates dramatic results because it is based on the Universal laws found in the field of Quantum Physics. Every subatomic particle of energy in the Universe is connected to every other particle by a kind of holographic energetic matrix no matter how far apart they physically are. You are always changing the behavior of these quantum particles by where you directing your attention, thoughts, and feelings. This means that when you see and feel something happening in one powerful part of the Universe like the Blue Room, you actually directly impact energetic particles in another part of the Universe because we are all energetically connected. So every time that you enter the Blue Room and deeply feel that an agreement has already happened, you actually start making it manifest in the physical world! Thanks to the power of your consciousness, energy field, and the inner-connectedness of all matter you can manifest anything you desire. With The Blue Room Manifesting Meditation, you’ll find out how FUN it is visualized and materialize every desire you have into your life!